Greetings friends and fellow crafters, LeeAnn here today with a Christmas in July tag I made using Joy Clair stamps. 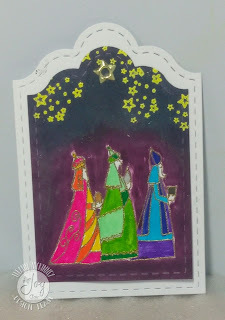 For this project I used the "Three Wise Men" stamp set. To make my project I used Recollections 110 lb weight card stock as my base. I stamped the wise men with Versamark ink, sprinkled with Gold embossing powder and heat set it, I did the same with the stars and used yellow embossing powder for them. While in stamping mode, I stamped the sentiment on a second piece of card stock. Once that was complete I used my Zig Clean Color Real Brush Markers to color the robes of the wise men. I followed that up with using my distress inks in Seedless Preserves, Tumbled Glass and Hickory Smoke and blended them for the sky, and a bit lighter towards the bottom of the tag and left it lighter to act like a halo around the men. Once this was done I used my Gina Marie Stitched Tag Dies to cut the project to the size desired. I used my Perfect Punch to add a hole in the desired spot, and then add a gold star brad so the tag would turn to reveal the sentiment. 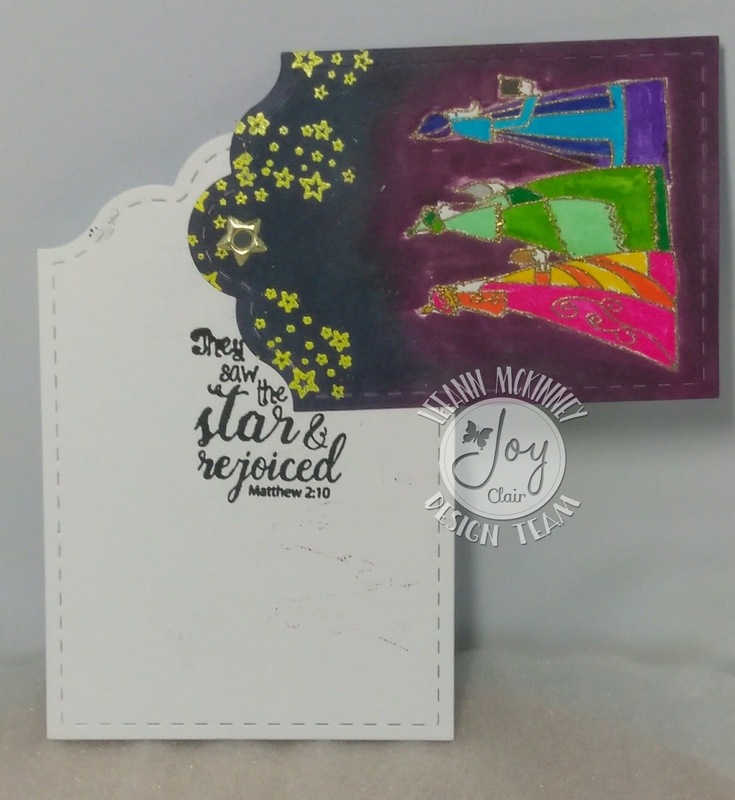 This project will go in my Christmas Box with the cards I have made in the past six months in preparation for this years holiday season. 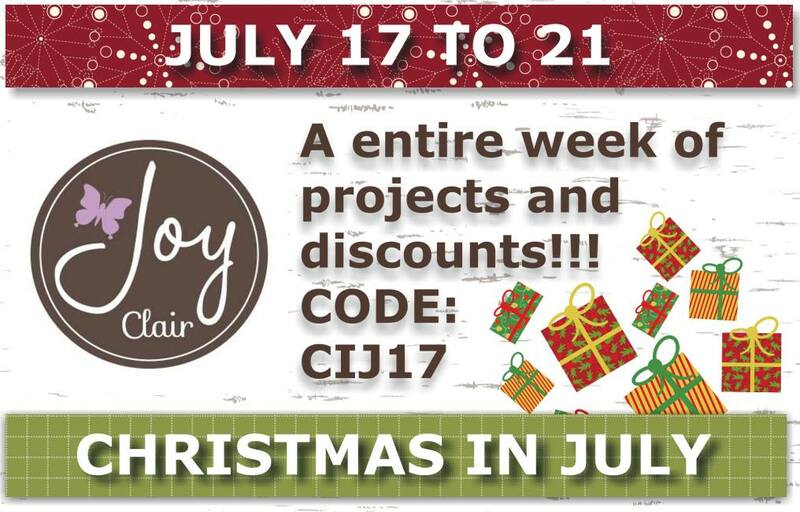 I hope you have enjoyed my project today, and that it gives you inspiration in getting your Christmas projects started early.